AiPTunes! Vol. 1: Chords for Characters – AiPT! It’s the first edition of AiPTunes! – a themed playlist, specially curated by the AiPT! staff! 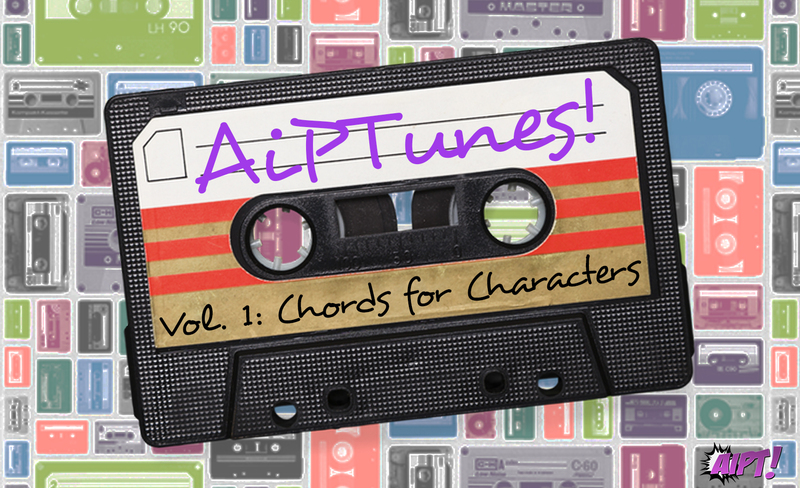 Welcome to the first edition of AiPTunes!, a themed playlist, specially curated by the AiPT! staff! This is Chris Hassan, your producer for AiPTunes! Vol. 1: Chords for Characters. When the music-lovin’ members AiPT! staff and I got together in the studio, our goal was simple: Pick 10 comic characters and the songs we think best represent them. I’m proud to present to you the end result, which delivers an eclectic mix of songs that are just as vibrant as the heroes and villains they represent! So put on your headphones, click play and follow along with the liner notes below. Zarik Khan: Mary Jane is probably the first character in all of comics that brought the energy and passion of the amazing ’60s rock and roll music era to a new medium. Completely oblivious to what the world thought, she was always bobbing her head to some kind of “groovy” tune (real or imagined!) every time we saw her in the “swingin'” ’60s in the pages of The Amazing Spider-Man. No other band epitomizes “groovy” and “swingin'” from that era better than The Rolling Stones. Like MJ, they also were completely oblivious to what the world thought, with their raunchy and raw style and sound contrasting starkly from their contemporaries. Fittingly, there’s a popular clip out there of Ann-Margret, the actress who John Romita Sr. based MJ’s appearance on, dancing to this song. The connection goes a step further–no other song perfectly captures MJ’s true feelings, that deep down inside past her party girl facade she wasn’t satisfied with the hell of her home life and her frustrations pushed her to seek something better. Of course, we all thought she got that something better until she gained a little “Sympathy for the Devil.” Alright, I’ll stop there! David Brooke: This song fits, even if Wanda’s hair isn’t raven. The song reflects her powers of witchcraft but also drifting into madness–a common theme in the comics for the character. Connor Christiansen: You know the Merc with a Mouth would love the cliche 2000s pop-punk anthem that is “Teenage Dirtbag.” It’s right up Deadpool’s alley in how it’s recognizable, but not instantly so, making for a song that feels perfect for one of Deadpool’s random, obscure references. Plus, Wade Wilson himself is the physical embodiment of a teenage dirtbag–always breaking the law, unbelievably immature and almost always pining over some heartthrob that he has no chance with. Trevor Richardson: Snotgirl has a lot to say about gender and how young women behave toward one another and Lana Del Rey’s song posits some similar, troubling values. The song is all about getting into trouble when you’re young, prioritizing love over treating your friends well and being “the prettiest in-crowd” with “eyes gleamed mean.” Sound familiar, Snotgirl readers? What makes this song the perfect companion for Lottie and her Hater’s Brunch crew is that both Del Rey and Snotgirl writer Bryan Lee O’Malley do more than just complain about millennials. They’re interested in the human beings beneath the Instagram filters and makeup, even if their mugs look flawless under their tears. Jason Segarra: There are a few ways you can read this song, but rather than the darker story about Art Alexakis’ drug-addict ex-girlfriend, I’m going to look at is as a song about a repeat slacker who can’t seem to get things right and tries to play things off his issues with a smile and a joke. It’s a light-hearted take on someone who can’t seem to take things seriously and has become something of a loser for it. Sounds an awful lot like the best stories that feature our favorite gold-coated showboat from the 25th century to me. David Hildebrand: The title says it all and describes the Hulk perfectly. The lyrics say “Enraged, my mind starts to smoke. Enforce a mental overload.” Sums up Bruce Banner when his blood gets boiling and he starts to Hulk out. Plus, the song has killer guitar riffs and I’ve always been a fan of Dave Mustaine’s vocals. Lisa Allison: The music is powerful with an impactful chorus and heavy beats emulating Mjolnir striking. Thor is a party type of guy as indicated from his enormous–and bottomless–beer when he meets up with Doctor Strange in Thor: Ragnarok. I can absolutely see him drinking and blowing off steam at epic proportions. Chris Hemsworth’s Thor would certainly leave me thunderstruck. Nathaniel Muir: On the surface, Mozzer’s best song seems like a consolation to someone that things will get better. The Master of Magnetism’s goal in life is to make sure mutants won’t be subject to horrors similar to those he experienced during World War II. The best thing about the song is that it can be interpreted as the singer consoling themselves. It’s touching, sad and defiant. Sort of like the Magneto. Chris Hassan: Any album that starts with a song for Mary Jane has to end with a tune for our friendly neighborhood Spider-Man! Aside from the fact that this song’s first lyrics are “Swing swing up and down,” I feel its upbeat–yet occasionally sad–melody perfectly captures the turbulent life of Peter Parker. And through it all, the drumbeat remains consistent, just like Spidey’s unwavering devotion to using his powers responsibly. What do you think, MJ?